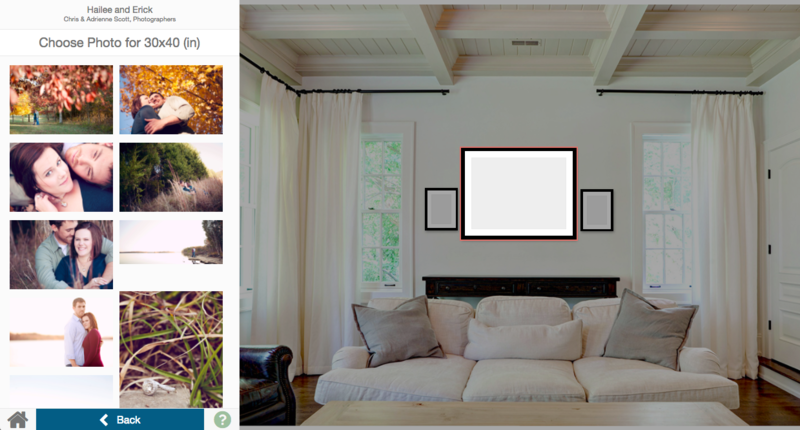 Ready to put your photos on the wall? Here's how to add them to products. For the product that you would like to add a photo to, click "Choose Photo". Click on the photo that you'd like to apply. You'll be taken to the crop tool screen. Once you've cropped the photo, click Apply on the bottom left. 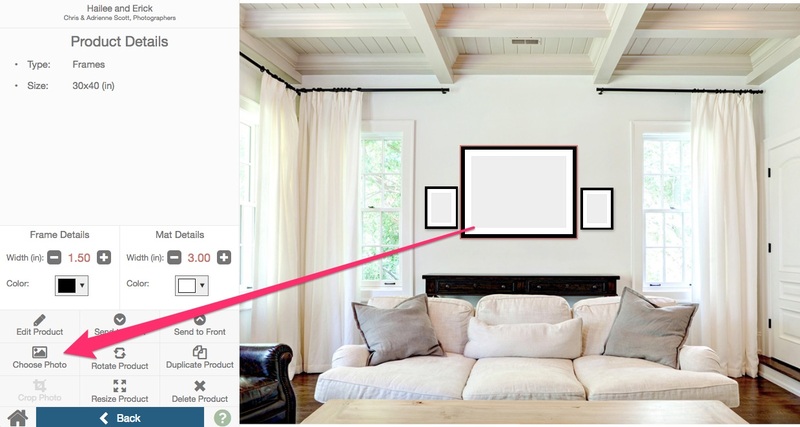 You can also choose a product (by clicking to select the gallery then clicking again to select the individual product) and double-click the product again, or by typing "c".